@FederalGear, PeekabooPictures.Com, Alan Bouda ‏@WildAls, @CowAndLizard, REAL DEAL ‏@REALDEAL7786, Webics Web Design, FamilyMint, Dr. Quinn Weight Loss, Rock Me! Made with love in the USA. These businesses are using the power of Social Media to improve the economy and their community. 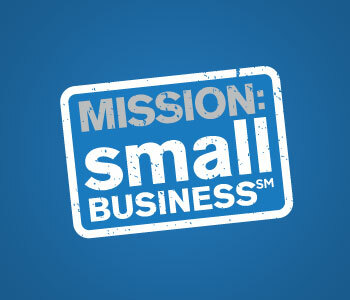 If you haven’t voted yet in this program, please go to Mission: Small Business, sign in with your Facebook login and vote for small business today. Search by your state and vote for anyone who has less than 250 votes. While you’re at it, stop by DKemp Designs and vote for us. Let’s leverage Social Media to change our communities. Good Morning! Ready to roar into 2012? Well, if you’re looking to start or increase a small business for the New Year, here are some great tools. Better, some are FREE! Yep, that’s right. You can still get help for your design or development business for free. First up, GetJar. A great collection of apps for your Android devices that are always free. Some are normally paid apps, so before buying, check GetJar and find out if you can save a few bucks. Next, Web Designer Depot, a great blog site with tons of free brushes, templates, fonts and other tools necessary to any Graphic Designer. They are launching a new feature called Zero Bundle soon, so get to their site and sign up quick! Site Grinder is not a completely free service, but they do have a 30 day free trial that is most worth checking out. This is a plug in for Photoshop that automates creating your web pages. Increase productivity and make money for 2012! Then there is Template Monster. While many of their templates are paid, they feature free ones all the time. They also offer blogs and tutorials for free to get your skills polished up. And if you’re a seasoned developer, you can sign up and sell some of your own templates and make some merry New Year cash. Finally, there is good old DKemp Designs where tips and freebies are listed every day. If you appreciate the help, donate $1-100 to keep the site going.